SAN FRANCISCO (KGO) -- Word of a coyote attack on a small dog has San Francisco residents on edge. 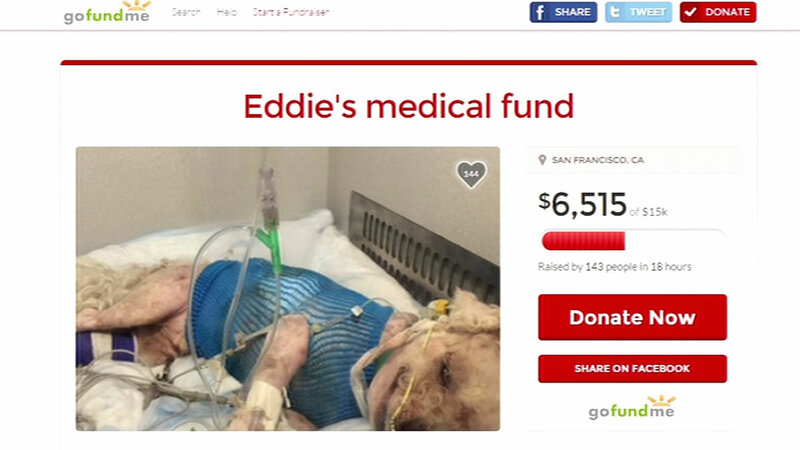 A man says a coyote attacked his dog "Eddie" in Stern Grove Wednesday. Eddie is in the ICU at the Animal Internal Medicine Hospital in the Sunset District. Residents in the area say they have spotted coyotes in the park before. Eddie's owner says the fire department saved the dog from the coyote. A GoFundMe page has been set up to raise $15,000 for Eddie's vet bills. So far, more over $7,000 has been raised.